RI's Sisson Sizzles at Reebok Boston 10K For Women - Battle Road TC Top Team Over B.A.A. 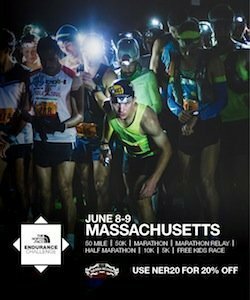 Home >> National News >> RI’s Sisson Sizzles at Reebok Boston 10K For Women – Battle Road TC Top Team Over B.A.A. RI’s Sisson Sizzles at Reebok Boston 10K For Women – Battle Road TC Top Team Over B.A.A. The Rhode Island native breaks the tape in 30:39, Diriba finishes second. BOSTON – Rhode Islander Emily Sisson took top honors at today’s Reebok Boston 10K for Women under cloudy skies and 57 degrees in Boston’s Back Bay. The 26-year-old won in a time of 30:39, and outlasted Buze Diriba of Ethiopia, who took second in a time of 31:10. It was a return to glory on Charles Street for Sisson, who also won the race in 2016, when it was known as the Tufts Health Plan 10K for Women. Sisson used an easterly tailwind to her advantage, dropping a 5:02 mile at mile three, and Diriba with her, to open up a ten second lead. Returning over the Massachusetts Avenue bridge, Sisson forged onward, boosted by the cheers of thousands of women running in the opposite direction. Sisson opened up a 22-second lead with one mile to go, and turned onto Charles Street uncontested. With the win, she takes home $9,000 in prize money and becomes the seventh women to win multiple editions of the 42-year old race. For Diriba, who has twice won the B.A.A. 5K in Boston’s Back Bay, it was a return to a city she enjoys. “I felt good, I love this race,” said Diriba, who lives and trains in Albuquerque. The course here is very good, and I felt good through the race,” said Diriba. Diriba goes home with a second-place prize for $5,000. She’ll next race the Valencia Half Marathon on October 28. The race began with Sisson and Diriba hitting mile one in 5:08, several meters ahead of a pack of ten, and enduring a minor headwind at mile two for a 5:11 split. It was there that Sisson picked up the pace, and after the first turnaround on Memorial Drive, used a tailwind to her advantage and dropped a 5:02 mile. At the second turn-around on Memorial Drive, race organizers and runners encountered a different turn-around than expected. In responding and cooperating with area public safety agencies, volunteers and organizers altered the location of its traditional second turn-around, shortening it by approximately 150 meters. The result was a shortened race course by approximately 300 meters, therby making the day’s race ineligibe for records. Sisson checked her watch twice at the mile four mark. “I have raced here maybe three or four times, and I love it here. I felt really good [at mile four], and I wondered what I ran – [my watch read] 4:05 and I said, ‘I don’t feel that good,'” laughed Sisson. Turning back onto the Massachusetts Avenue, Sisson never looked back. She now sets her sights on a half marathon in the future, and perhaps a 2019 marathon. Photo: Top 40+ runner Mimi Fallon (age 53) of the Hurtin’ For Certain Striders with the B.A.A.’s Emily Raymond. Finishing third in a time of 32:19 was 23-year-old Erin Clark, making her roads debut. “It’s really exciting,” said Clark who runs with Northern Arizona Elite. “Going into the race, I would have been thrilled with thrid, so to come out here and do what I hoped to do was great, and bodes well for the rest of my season,” said Clark. In her first road race, and first time to Boston, the Colorado University product sported a big smile in Boston Common after the race. “It was fun and exciting for me to be a in a big city, and I’ve never raced a road race so hearing the crowds and the excitement down the roads, and the helicopter overhead, I was like ‘this feel so intense! '” Finishing fourth was Dylan Hassett in a time 32:38, and Holly Rees of the UK in fifth in a time of 32:46. Nine-year old Maddie Wilson won the wheelchair race, smiling wide and breaking the tape in her pink wheelchair in a time of 48:13. Established in 1977 as the Bonne Bell Mini Marathon, the Reebok Boston 10K for Women is the longest-running all-women’s sporting event in New England. With thousands of runners and spectators each year, it’s New England’s largest all-women’s road race, and has been organized every year by Conventures, Inc. Known for many years as the Tufts Health Plan 10K for Women, the race features a flat out-and-back course through Boston’s Back Bay neighborhood and stretches of Memorial Drive in Cambridge, finishing at Boston Common. More than 175,000 women have raced in the event since its inception. For more information on the race please visit www.boston10kforwomen.com.